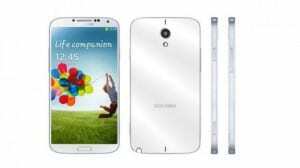 The Galaxy Note III – soon to be announced! Like the previous devices from the Note line, the Galaxy Note III will also be launched at the IFA 2013 in Germany, in September. Being one of the most expected devices this year, there have been a lot of rumours regarding its look and features. According to The Korea Herald, the “industry officials” have reported that the handset will come in with a 5.7 inch Super AMOLED display., not 6 inch, like it was speculated until now. So it seems that Samsung is keeping a rule here of adding 0.2 inch with each Note model launched, since the Galaxy Note had a 5.3 inch display and the Galaxy Note II had a 5.5 inch display. “The revolutionizing LTE-A technology, which allows the users to search and download at up to 150 Mbps right in the palm of their hands, is expected to encourage more companies to explore a variety of ways to commercialize larger handheld devices from now on,”. The Galaxy Note devices are not alone in the category of large smartphones or phablets, there also the freshly announced Galaxy Mega, LG Optimus G2 that is also yet to come and the Lg Optimus Pro that is already on the market.